“Something quite serious has been lost,” she wrote in 2013 on the website Edge.org, an online discussion group. “And, of course, this has ramifications not only for the general level of scientific understanding, but for funding decisions in Washington — and even access to medical care. And it’s not good for those of us at The Times, either. Competition makes us all better. Founded at the request of the creative director Gianluigi Ricuperati, with the collaboration of Francesca Vargas, leader of the Master course in Interior Design & Living, the Club will meet several times a year to Milan to identify the themes that will guide the search and location of Domus Academy in the following months. The approach is inspired by the vibrant atmosphere of literary cafes and salon intellectuals of every time and place, and not the physical: the Parisian circles of late nineteenth century to the platform Edge.org [http://edge.org], the virtual space where scientists and scholars discuss openly of topics and themes disparate. Because every point of view is different from the other and why diversity should become the largest resource for teaching, rather than a limit. Should you wear the Apple Watch? A hard problem for soft brains: is there a Hard Problem? Daniel Dennett wants to convince Tom Stoppard that there is no Hard Problem. Dennett, on the other hand, thinks that we may have already solved the problem of consciousness with a coterie of small-scale, rather banal explanations. The non-mysterious ways in which the brain creates our sensory experience might be the only ingredients we need to explain how it is that we are aware of feeling something. A KIM JONG-IL PRODUCTION: THE EXTRAORDINARY TRUE STORY OF A KIDNAPPED FILMMAKER, HIS STAR ACTRESS, AND A YOUNG DICTATOR'S RISE TO POWER, by Paul Fischer: A jaw-dropping book about the former North Korean leader’s atttempt to boost the reputation of his country’s filmmaking industry. THIS IDEA MUST DIE: SCIENTIFIC THEORIES THAT ARE BLOCKING PROGRESS, by John Brockman: Want a dinner party guaranteed to produce intense and lively conversation? Introduce Brockman’s book! BETWEEN YOU AND ME: CONFESSIONS OF A COMMA QUEEN, by Mary Norris: This is a fabulous meandering ride through language, the pursuit of a good pencil and how best to say what you mean, from the New Yorker’s copy editor. UNEXPECTED ART: SERENDIPITOUS INSTALLATIONS, SITE SPECIFIC WORKS AND SURPRISING INTERVENTIONS, by Jenny Moussa Spring: Imagine turning the corner toward the harbor in Auckland, New Zealand, to discover a 60-foot bright yellow rubber duck quietly floating there. This modest art book is full of astonishing, inventive and delightful art installations around the world. 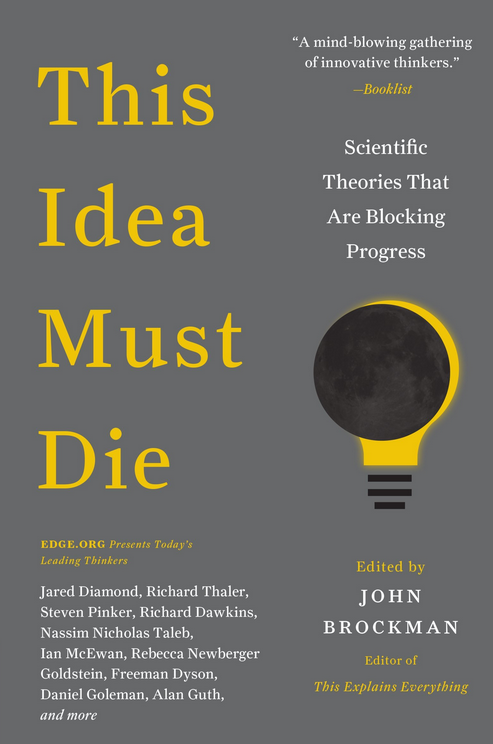 #19—This Idea Must Die: Scientific Theories That Are Blocking Progress (HarperPerennial) edited by John Brockman. The Edge Question Book, This Idea Must Die is #6 on the San Francisco Chronicle's Best-Seller List, March 22nd. John Brockman's collection of writings shows that not only do new ideas triumph by replacing old ones, but also that new ideas respond to "new information made possible by new measurements", as Jared Diamond argues in one of 175 mini-essays from many of the world's most eminent brains. Linguist Steven Pinker joins novelist Ian McEwan, ethologist Richard Dawkins, statistician Nassim Nicholas Taleb and scores of others in presenting scientific theories that they believe must die because they are blocking progress. Some of these ideas are clearly dated, including those about IQ, race, nature vs nurture, and altruism. Those listening to narrators David Colacci and Susan Ericksen will probably jump around the book as they look for arguments justifying their own conclusions. Psychologist Adam Waytz will find supporters who feel Aristotle's aphorism that man is a social animal should be retired. 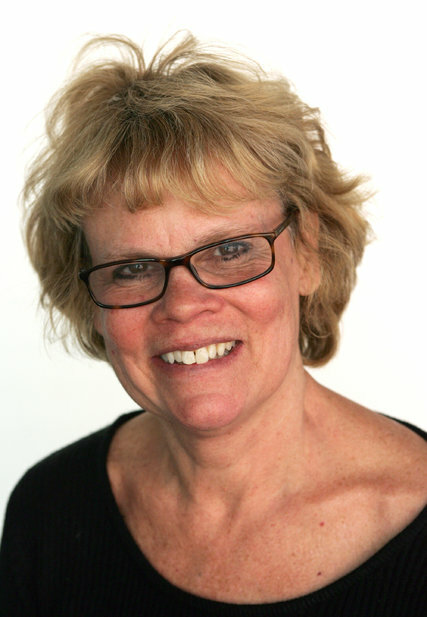 Helen Fisher's thoughts on love and addiction will gain her an audience, as will Jane Gruber's ideas about so-called negative emotions such as sadness and fear. The Edge Question Book, This Idea Must Die is #15 on the National Indie Bestseller List, Week Ending March 15th. This Idea Must Die is garrulous and argumentative. I expected no less: Brockman's formula is tried and tested. Better still, it shows no sign of getting old. The Edge Question Book, This Idea Must Die is #4 on the Northern California Indie Best-Seller List, Week Ending March 1st. Back to press for 3rd printing, bringing total to date to 24,500 copies. 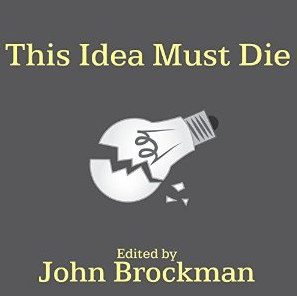 There’s something ironic about seeing a promotion for John Brockman’s latest collection of science musings, This Idea Must Die, right under his Edge site’s featured conversation, Death is Optional. Because a lot of ideas don’t die. They recede for a while–like Lamarck’s notion of the inheritance of acquired traits–and then insinuate their way back into scientific consciousness. ONE of the anxieties haunting the 21st century is a fear that technological change will soon make many human lives seem essentially superfluous. It’s a fear as old as the Luddites, but the promise of computing, robotics and biotechnology has given it new life. It suddenly seems plausible that a rich, technologically proficient society will no longer offer meaningful occupation to many people of ordinary talents, even as it offers ever-greater wealth, ever-widening powers and, perhaps, ever-longer life to the elite. Are you an idea junkie? Of course you are! It’s exciting to hear about ideas, especially new ones. There’s a progression that happens when you hear a new idea – you run it through your brain, try to envision where it might lead. Who will benefit from this new idea? Who will it hurt? Will it be worth the cost? Is it legal; is it morally defensible? Is it, in fact, a good idea? Which Ideas Should Be Killed? John Brockman has collected his “angels”: all of the many scientists, philosophers, psychologists, techno-geeks, and mathematicians that he either is an agent for or whom he simply knows, and posed to them a provocative question: “What scientific idea is ready for retirement?” The results, in the form of 1-4 page mini-essays, are compiled in a new book,This Idea Must Die: Scientific Theories that are Blocking Progress. You can buy it for only $11.81 on Amazon. Although I’m not a fan of “idea anthologies” in general, this one is good, and well worth reading. For one thing, you’ll be surprised at the ideas that people say must be deep-sixed, including “Theories of everything” (Geoffrey West), “Entropy” (Bruce Parker), “Falsifiablity” (Sean Caroll, and I disagree with him), “Humans are by nature social animals” (Adam Waytz), “Mind versus matter” (Frank Wilczek), “Culture” (Pascal Boyer), and “The illusion of scientific progress” (Paul Saffo, whose essay I again disagree with). You can see the entire list of contributors, which number about 150) at the Amazon page, simply by clicking on the bookcover link here. ...For a mini-education in contrarian thinking in science, this book is essential. Which Scientific Ideas Must Die? Whether it’s the four bodily humors, the geocentric universe, or the steady state theory, sometimes an old idea has to die before new science can flourish. (Just ask Copernicus.) A new anthology edited by Edge.org’s John Brockman aims to speed that process along by asking scientists and big thinkers which scientific concepts they’d target for extinction. Ira talks with two contributors to This Idea Must Die—theoretical physicist Sean Carroll and quantum mechanic Seth Lloyd— about the ideas they’d like to give a good shove out the door. Read an excerpt from the book here, and vote for which ideas you think should die.